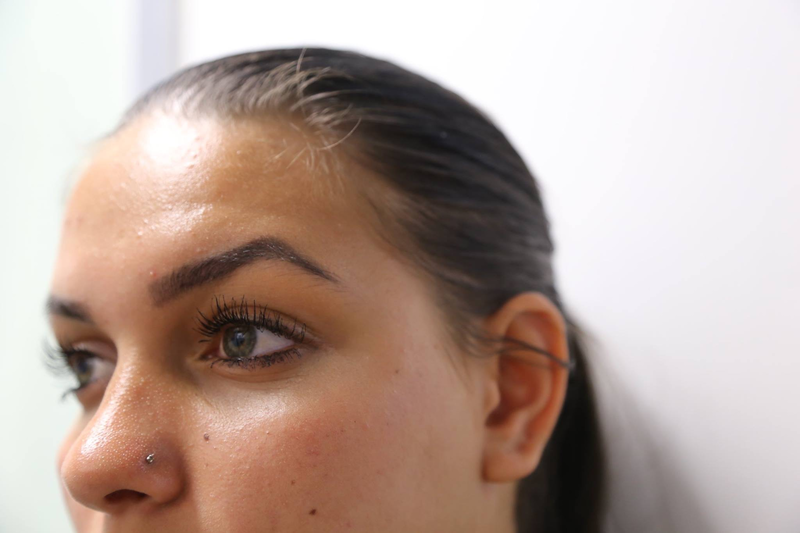 The Institute for Urban Indigenous Health (IUIH) has partnered with The Fred Hollows Foundation to offer an Indigenous student currently pursuing a career in Optometry with an exciting ‘Workforce Initiative’ scholarship opportunity. The successful applicant will be provided with up to 30 days of paid employment with IUIH (at a competitive hourly rate) in Brisbane where they will be provided with hands on experience across 17 clinics; the possibility of visiting rural Aboriginal and Torres Strait Islander communities; and a $5000 conference scholarship (to cover conference registration, travel and accommodation). – May be required to attend an interview with IUIH. Applications close 29th September 2017. “Encouraging more Aboriginal and Torres Strait Islander people to pursue a career in medicine, and supporting them to study and succeed, should be a major focus for our nation’s health workforce. 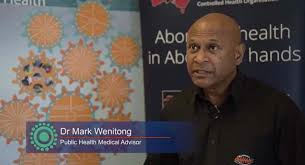 Dr Mark Wenitong, founder of the Australian Indigenous Doctors Association and a member of the Kabi Kabi tribal group, said that Indigenous Australians have a vital role to play in our national healthcare workforce. This $10,000 scholarship will be awarded to an eligible Aboriginal and/or Torres Strait Islander student studying a medical or health field at an Australian University. The scholarship supports the second or greater year of study in 2018, with funds contributing to tuition fees and personal learning expenses. The Futures in Health Indigenous Scholarship will recognise a student who has not only demonstrated exceptional academic performance, but also displayed a commitment to their local community and personal development. “The Australian healthcare system works very well for the majority of Australians. However, there is great discrepancy in health outcomes for Aboriginal and Torres Strait Islander peoples of this country. For Indigenous Australians, there are significant barriers in accessing medical professionals who can communicate effectively and understand cultural approaches to healthcare,” Dr Wenitong said. Dr Wenitong also said that medicine can offer a highly rewarding career that opens the door to professional success and personal fulfillment for Indigenous students today. The Rural Doctors Association of Australia (RDAA) celebrates the achievements of Indigenous Doctors and medical students and recognises their important contribution to providing culturally sensitive health care to Indigenous communities. RDAA, in partnership with the Australian Indigenous Doctors’ Association (AIDA) and with generous sponsorship from MDA National, offers a Bursary for Indigenous medical students to assist them to complete a rural or remote placement, or to carry out research to benefit Indigenous health care. Ms Peta Rutherford, CEO of RDAA, said that RDAA works collaboratively with AIDA to support their efforts to encourage the development of the Indigenous doctor workforce, and also to improve services to Aboriginal and Torres Strait Islander people across Australia. “It has been very rewarding working with AIDA to identify and assist these dedicated Indigenous medical students and we are excited to be able to offer the Bursary again in 2017. “Over the previous two years that we have awarded the MDA National Bursary, the applicants have been outstanding and we are confident they will go on to make a big impact on the provision of health care to Indigenous Australians. “The Bursary provides up to $7000 to an Aboriginal and/or Torres Strait Islander medical student to assist them in supporting their study while undertaking a rural or remote clinical placement, to develop skills in a particular area of medicine in order to assist a rural or remote community, or another activity that would benefit rural or remote Aboriginal and Torres Strait Islander patients. “The Bursary also supports their attendance at Rural Medicine Australia, Australia’s premiere rural medical conference, to be held in Melbourne in October. 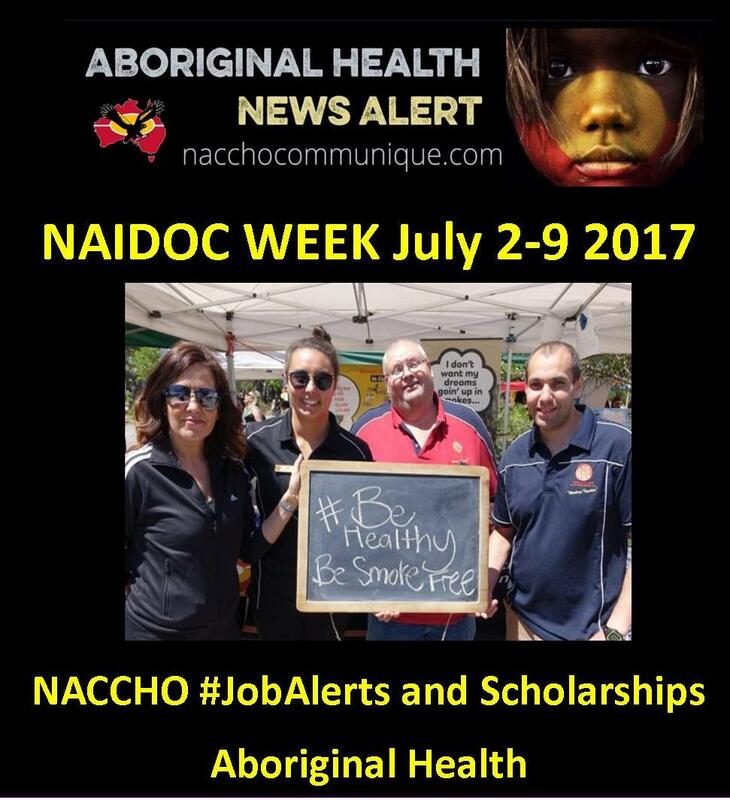 “Applications close at the end of NAIDOC week (Friday 7 July 2017) and we encourage all Aboriginal or Torres Straight Islander medical students to apply. Further information on the Bursary can be found at www.rdaa.com.au. The Jeff Cheverton Memorial Scholarship has been established by the Australian Healthcare and Hospitals Association (AHHA), together with Brisbane North Primary Health Network (PHN), to honour the memory of Jeff Cheverton, who demonstrated excellence in health leadership until his untimely death in March 2017. This six-week scholarship supports scholars to develop an issues brief on a topic relevant to primary health, mental health, aged care, Aboriginal and Torres Strait Islander health, or LGBTQI health. It also provides the opportunity for scholars to spend 6 weeks working with a peak national health body, based in Canberra, and to establish connections with policymakers and practitioners working in their field of research. The Scholarship is open to postgraduate tertiary students, early career researchers and those working in primary health, mental health, aged care, Aboriginal and Torres Strait Islander health, or LGBTQI health. • a fully-equipped work-station within the AHHA office in Canberra. Please note: The AHHA and Brisbane North PHN are not able to provide any assistance (financial or otherwise) with travel or accommodation in relation to the Scholarship. The Scholarship will be offered during the summer academic break following granting of the award, starting from 8 January 2018. Scholars are expected to be based in the AHHA national office for six weeks, and must complete their projects within that period. Alternative arrangements to work remotely will be considered. • be suitable for online publication by the AHHA. Today the AICD is launching a range of exciting new scholarships for both members and non-members, that will give directors and executives the opportunity to develop their skills and capabilities to be our leaders into the future. The AICD is proud of the work we do in the not-for-profit sector and our program to promote diversity in the boardroom. The new scholarships continue our important work in these areas. • Not-for-profit (NFP) Scholarships 140 AICD funded NFP scholarships will be made available to executives and directors of small NFP organisations to complete a range of AICD short courses. 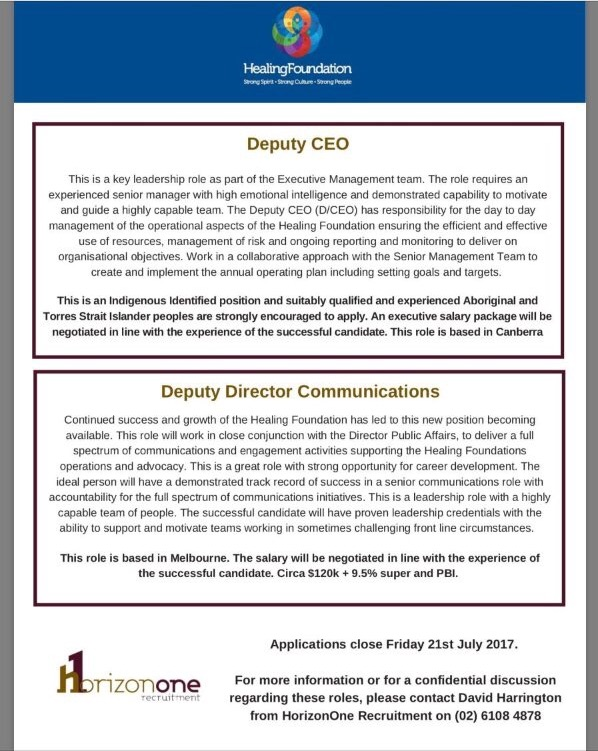 This position is located within the Harm Minimisation Team. The Team aims to build healthy Aboriginal and Torres Strait Islander communities by minimising the harm that substance misuse has on individuals, families and communities inclusive of responding to people who inject drugs and reducing the transmission of Blood Borne Viruses. The purpose of this position is to reduce AOD related harms to individuals and their families by conducting assessments and providing a range of counselling interventions to assist clients and their family members to change harmful behaviours and increase their capacity to effectively manage the problems they are experiencing associated with AOD use and promote recovery. This position is located within the Mental Health Recovery Team and will be based in Nunkuwarrin Yunti offices at Christies Beach and Wakefield Street, Adelaide. The Mental Health Recovery team provides counselling and support services which assist people to better manage a wide range of issues including grief & loss, depression, trauma, family and/or relationship matters, and any other issues which impact on psychological, social and emotional well-being. The program also provides holistic, culturally appropriate case work. Narrative Therapists provide support, counselling and education to clients referred through the Primary Health Network, peer agencies, Nunkuwarrin Yunti or other sources of referral. Applications closes COB 17th July 2017. The Policy Officer coordinates and undertakes policy development, providing analysis/review and advice, to support Organisational and/or Government policy initiatives and commitments. collates information for reporting, monitoring and evaluation purposes to contribute to the achievement of policy outcomes Aboriginal and Torres Strait Islander Health Workers and Health Practitioners on a national basis. The position will work closely and in partnership with other national peak bodies, RTO’s and relevant external stakeholders to progress NATSIHWA priorities, including to enable, attract and retain growth in a sustainability Aboriginal and Torres Strait Islander Health Workers and Health Practitioners workforce. The Policy Officer reports directly to the Chief Executive Officer. On behalf of the CEO and membership, interpret National Aboriginal and Torres Strait Islander Health Plan and other relevant documents and develop policy responses as required. Identify and pursue opportunities for cooperation and collaboration with relevant stakeholders on initiatives aligned with NATSIHWA priorities. Assist with implementation of advocacy and promotion strategies in line with NATSIHWA priorities. Represent NATSIHWA on external working groups, committees, forums or events as delegated, and report on the outcomes. Support the development and implementation of the NATSIHWA three-year Strategic Plan, Annual Activity Plan, Annual Report and Evaluation Strategies. Support the development and implementation of the NATSIHWA Communication Strategy. Assist in identifying and implementing self-generating funding initiatives to support NATSIHWA’s sustainability into the future. Demonstrated ability to work with Aboriginal and Torres Strait Islander communities and their leaders, respecting cultural values and ways of doing business. Demonstrated ability to communicate effectively, both verbally and in writing, to a wide range of audiences on a range of sensitive and complex issues, especially with regard to Aboriginal and Torres Strait Islander peoples. The ability to interpret and identify key information within policy and other relevant publications relevant to the sector and its members. Demonstrated ability to communicate effectively with various audiences and across a range of approaches. Demonstrated ability to work as a member of a team, identify performance outcomes, plan activities and set priorities to achieve agreed objectives and meet timelines. Demonstrated ability to appropriately exercise initiative and judgement, and recognise, mitigate and resolve conflict. As part of a small, dynamic team have the ability to think independently to influence change for the sector. Proven ability to work independently under broad direction. Experience in working with Aboriginal and Torres Strait Islander peoples, organisations and communities in the health sector. First incorporated in 1971, Nunkuwarrin Yunti has grown from a welfare agency with three employees to a multi-faceted organisation with over 100 staff who deliver a diverse range of health care and community support services. Nunkuwarrin Yunti aims to promote and improve the health and well-being of all Aboriginal and Torres Strait Islander people in the greater metropolitan area of Adelaide and to advance their social, cultural, and economic status. The Organisation places a strong focus on a client-centered approach to the delivery of services, and a collaborative working culture to achieve the best possible outcomes for clients. 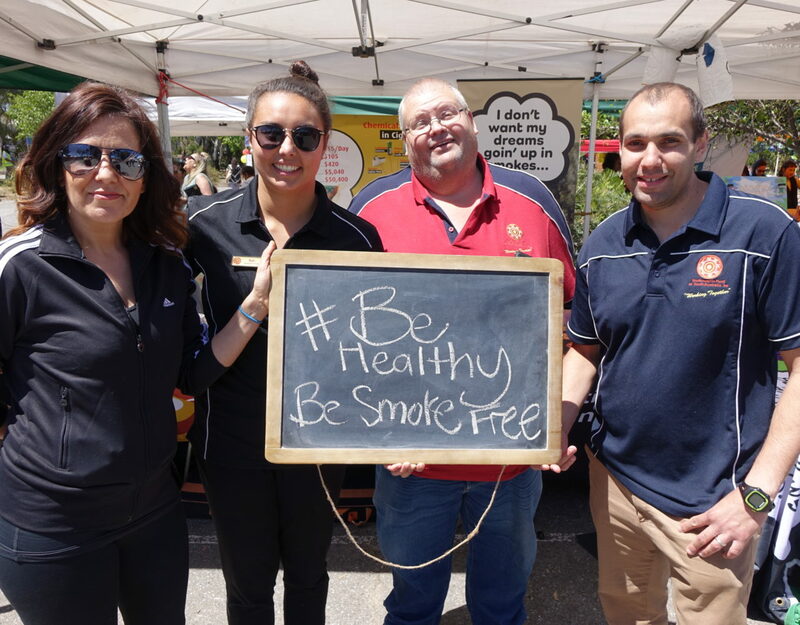 Nunkuwarrin Yunti has an exciting opportunity for a Tobacco Care Coordinator to join their team in Adelaide on a full-time basis, as part of our Tackling Tobacco program. The initial position is up to December 2017, as the role is subject to ongoing funding. The program has been undertaken since 2010. With the support of the Tackling Tobacco team this position will utilise approaches to provide effective and evidence based tobacco screening, assessment, quit support and referral programs to clients, staff, and community members who use tobacco. The position will be responsible for supporting health services to talk with clients about smoking and readiness to quit, develop/review clinical guidelines, organise/deliver training to staff, coordinating/ responding to referrals received and ensuring follow up with clients is conducted as per the program plan. Utilise tailored approaches to provide expert advice and support to individuals and groups that promotes the harms of smoking, tobacco cessation techniques and Nicotine replacement therapies. Provide support to lower level staff within the tobacco program as required, particularly in the delegation and scheduling of client follow ups. What skills, strengths and experience would you bring to the role? Please also comment on your knowledge and understanding relating to Tobacco use within the Adelaide Metropolitan Aboriginal and Torres Strait Islander Community. Please outline your experience in working with Aboriginal clients regarding their smoking behaviour and how you would work with individuals to encourage them to stop smoking? This position is responsible for ensuring a high number of referrals are made to the Tobacco program. Please outline what strategies you would implement for both internal and external stakeholders to ensure that this is achieved? Written Application and Current CV to be lodged to Human Resource Administration Officer – Ms Jynaya Smith (jynayam@nunku.org.au) by 5:00pm Friday 14th July 2017. The Australian Nurse Family Partnership Program (ANFPP) is a program of sustained and scheduled home visiting for Aboriginal families that begins during the antenatal period and continues until the child is 2 years old. 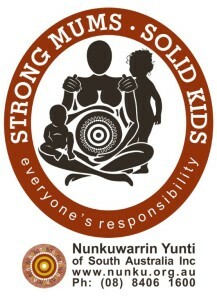 Based on the model developed by Professor David Olds in the USA, the AFNPP involves nurses and/or midwives and Aboriginal Family Partnership Workers working in partnership with women who are pregnant with an Aboriginal and/or Torres Strait Islander baby, through an intensive home visiting program of evidence based interventions. The position of Nurse Supervisor contributes by leading, modelling, coordinating and working with a team of 3 Nurse Home Visitors and 3 Aboriginal Family Partnership Workers. The position is located in Nunkuwarrin Yunti’s Women Children and Family Health Unit and will be based at Nunkuwarrin Yunti’s Mile End site. The position manages the team who will provide support to women and families who live within the catchment areas of Playford, Port Adelaide and Enfield (Adelaide Metro) including the two maternity hospitals (Women’s and Children’s Hospital and Lyell McEwin Hospital). Coordinate the development and implementation of the ANFPP and model a strength-based, culturally safe and client-centred program to achieve operational outcomes. Provide leadership to the team for practice governance and day to day operations of the ANFPP program in line with the national ANFPP program guidelines and relevant Nunkuwarrin Yunti Clinical and Practice Governance systems. Develop and maintain a positive learning environment, taking a reflective approach to service, team and individual performance development inclusive of formal training, clinical supervision and regular team meetings. Enquiries about the role can be addressed to Virginia Healy at virginiah@nunku.org.au or on (08) 84061600. Applications to include completed Application Form, Resume and Covering Letter including a brief overview against the key requirements above. Rewarding and varied role with the region’s leading provider of Aboriginal health services! Attractive remuneration circa $81,682 – $96,948 base, PLUS district allowance AND accommodation allowances! Do you want to really make a difference in your career? This is a unique opportunity to work with Indigenous communities in the spectacular Kimberley region! 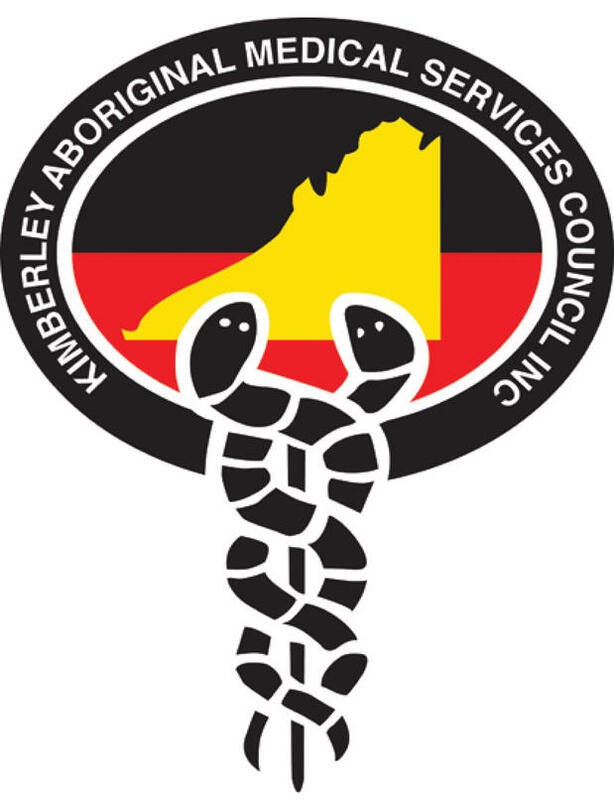 Kimberley Aboriginal Medical Services Ltd (KAMS) has a truly rewarding opportunity for a Project Coordinator – Aboriginal Suicide Prevention Trial to join their team in Broome, WA. This is a full-time, fixed term role to 30 June, 2018. This position has an indirect report to the Executive Steering Group of the Kimberley Suicide Prevention Working Group. The Working Group is charged to set strategy and oversee the Kimberley Suicide Prevention Trial in accordance with the parameters described in the National Suicide Prevention Trial Background and Overview, April 2017. Reporting to the Deputy CEO, you will be responsible for delivering project deliverables and progress reports in accordance with the agreed project timeline set by the Steering Group. This will involve a range of project coordination and community development tasks. Delivering the position’s work plan within the approved budget and financial delegations. Demonstrated commitment to the principles of Aboriginal Community Control and demonstrated knowledge of cultural safety principles and practices. KAMS are looking for candidates with well-developed interpersonal and cross-cultural communication skills and the ability to maintain client confidentially at all times within and outside the workplace. Ideally, you will have experience working within an Aboriginal Community Controlled Health Organisation or an Aboriginal or Torres Strait Islander Community Organisation and experience working in a mental health or social and emotional wellbeing role, however, this is not mandatory. A ‘C’ Class Driver’s License, Federal Police Clearance and willingness to travel often by 4WD vehicle and light aircraft will be required. Please note: Candidates must address the selection criteria outlined in the position description. Please attach answers in a word document and upload with your application. While you will face diverse new challenges in this role, you will also enjoy an attractive remuneration package circa $81,682 – $96,948 + super. Don’t miss this exciting and rewarding opportunity to have a positive impact on the mental health outcomes of Indigenous communities in the spectacular Kimberley region – Apply Now! Take on one of these uniquely rewarding roles and expand your career in Aboriginal Health! Enjoy above award remuneration plus super & salary sacrificing options! Enjoy great work/life balance with Monday to Friday, 35 hour week & family oriented work environment! Bulgarr Ngaru Medical Aboriginal Corporation (BNMAC) is a not-for-profit Aboriginal Community Controlled Health Organisation, providing primary health care services to Aboriginal people throughout the Clarence and Richmond Valleys through its’ network of clinics in Grafton, Casino and Maclean. Bulgarr Ngaru employs more than 50 people from local communities across the region including health professionals, clerical, and managerial staff. They are the leading employer of Aboriginal people and workers in the primary health sector in the region and more than 60% of staff members are Aboriginal people. Building on their current regional network of health facilities and a significant client base, Bulgarr Ngaru looks forward to the next two decades of service development and innovation. Bulgarr Ngaru is looking for full-time Registered Nurses to join their teams in Grafton and Casino. As a Registered Nurse, you will be responsible for assisting clients to address health issues in an holistic way. You’ll work collaboratively with Doctors and Health Workers to develop educational and intervention programs that address the contributory factors to wellness and empower clients to put in place a strategy that will improve their overall health and sense of wellbeing. Ensuring compliance with Accreditation procedures regarding cold chain monitoring, drug cabinet and doctor’s bag ordering and monitoring. The successful RN candidates will be Registered Nurses with AHPRA Registration and relevant post-graduate experience in either an Aboriginal Community Controlled Health Organisation or General Practice. Knowledge of clinical accreditation is required, and experience with organisational accreditation processes will be highly regarded. Importantly, you’ll have a comprehensive understanding of the primary health needs, early intervention, psychosocial and cultural issues impacting on Aboriginal families, and a genuine desire to further your experience in the area of Aboriginal Health. The ability to work closely with Aboriginal Health Workers as an integral part of the team will be well regarded. Your highly developed interpersonal and liaison skills will ensure your ability to build strong working relationships with service providers, clients and other key stakeholders. The ideal applicants will radiate patience and adaptability, and will be the type of person who thrives in busy, varied and often unpredictable work environment. Team players who are willing to jump into any task at hand will fit well within Bulgarr Ngaru‘s dynamic team. Although not essential, knowledge of / experience with Practice Incentive and Service Incentive Payments (Diabetes and Asthma Cycles of Care) would be well regarded. Bulgarr Ngaru is also looking for a full-time Early Childhood Nurse to join their team in Casino. Due to the nature of this role, applicants are required to be female. In this position, an applicant’s gender is a genuine occupational qualification and is authorised by section 31 of the Anti-Discrimination Act 1997. This position will be responsible for working within the New Directions Mothers and Babies Services – a service that provides Aboriginal and Torres Strait Islander families with young children access to a range of child and maternal care. Actively promoting and providing a holistic approach to care. The successful ECN will be a Registered Nurse with AHPRA Registration, and will hold recognised qualifications in Child and Family Health Nursing. A background in working with families and young children, particularly within a community setting, will be essential for your success. It is essential that you have the ability to effectively and sensitively communicate with Aboriginal and Torres Strait Islander communities and have a comprehensive understanding of the primary health needs, early intervention, psychosocial and cultural issues impacting on Aboriginal families. Due to the nature of the role, you must also have demonstrated experience working specifically with Aboriginal children and their families. Additionally, it’s important you have the ability to plan and coordinate client care, while operating effectively within a multidisciplinary team. Effective communication skills and competency in the use of computer programs will ensure your success. Please note: Candidates for both roles must be willing to provide outreach services on a rotating roster, and a current driver’s license is required. Accreditation as a Registered Nurse Immuniser (or the willingness to obtain this qualification within six months of employment) is also a requirement for both positions. If you are looking for a new challenge, a change of lifestyle or a new adventure, this is the role for you. You’ll love being surrounded by stunning beaches on one side and glorious mountains and rivers on the other, with the Gold Coast, Brisbane and Sydney all a quick hop, skip and a jump away! Bulgarr Ngaru truly values its team, and is committed to improving employee knowledge, skills and experience. You will have access to genuine ongoing training opportunities and professional development. In return for your hard work and dedication, you’ll be rewarded with an above award, attractive remuneration plus super, salary sacrificing and access to an employee assistance program. Bulgarr Ngaru offers a family friendly, supportive workplace with strong community ties, and a 35-hour Monday to Friday week, ensuring you achieve a healthy work/life balance. This is an excellent opportunity to enhance your cultural knowledge in a stunning location. Make a positive difference – Apply Now! Aboriginal and Torrest Strait Islanders are strongly encouraged to apply.